Zimmer and Peacock expect our clients to go to market and in part we are driven by programs whose raison d'etre is to deliver commercially successful products, some of which will be delivered into regulated markets. Zimmer and Peacock have markets including Europe and North America and so we understand the subtleties of going to market with a CE certificate in Europe, or 510K within the CFR 21 code in the USA. 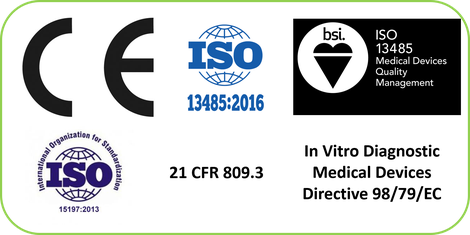 Therefore Zimmer and Peacock by default follow ISO 13485.
Zimmer and Peacock are often the science, engineering or manufacturing team behind our clients products so we advise them that as the regulatory facing and customer facing entity that will have to be ISO 13485 certified. Within Europe a CE mark may be required on going to market and though this has to ultimately come from the regulatory and customer facing entity, Zimmer and Peacock can prepare the documents so that the signatory to the declaration can sign and provide evidence upon which they were able to make that declaration. If the route to the US market is via a 510K then Zimmer and Peacock can prepare the documents to demonstrate the equivalence of the new products to products already on the market. Click the button below to see who we determine performance, consistency and quality.